Please read this if you intend to buy used scuba gear. 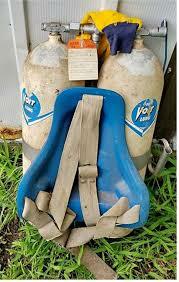 You can find some great used scuba equipment out there and we are thrilled that you are excited about the sport! We want you to dive and we know that not everyone wants to (or can) buy new equipment: It can be expensive but always remember that this is your life support equipment underwater. When you find that deal that is too good to pass up, we suggest that you please contact us prior to making any used equipment purchase to ensure that, no matter how “good” the deal is, you are getting something of value. 1 – how old is the equipment? Dacor was once one of the top brands in the industry. We strongly discourage anyone from diving on regulators that cannot be maintained properly. There are several brands that have gone out of business and many models for which the parts are no longer available. It’s important to remember that no matter how little the equipment may have been used, critical parts like o-rings, seals, hoses and diaphragms will oxidize and become brittle over time. If the equipment is no longer supported by the manufacturer, those parts cannot be replaced. 2 – when was it last serviced? All equipment manufacturers have a recommended overhaul interval. Even if the seller has a record of service, the equipment may need to be overhauled (see point #1 above). Is it a brand that can be locally serviced? Will it have to be sent out? Take this into account when you think about the costs of ownership. 3 – are you buying that for your child? Enough said. They probably have the latest iPhone and you want to trust their life to an ancient, ill-maintained regulator? Even if you “aren’t planning to dive that often or that deep”, please don’t compromise on safety. Consider renting before you allow anyone to dive that White Stag. 4 – most cylinders will last a very long time. Backpack harness with a set of doubles. Notice the “J” valve reserve lever. One of the best investments in used equipment can be a cylinder. If stored and serviced properly, they will last a very long time. Some cylinders should be avoided due to manufacturing problems, age or poor upkeep and Diver’s World can assist you in determining this. Cylinders should be current in hydro and viz (alternatively be aware of the risks if they fail those re-certifications). 5 – consider modern diving practices when looking at old[er] dive computers. Just because a dive computer turns on with a new battery in it doesn’t mean that it is safe or that it will work underwater. 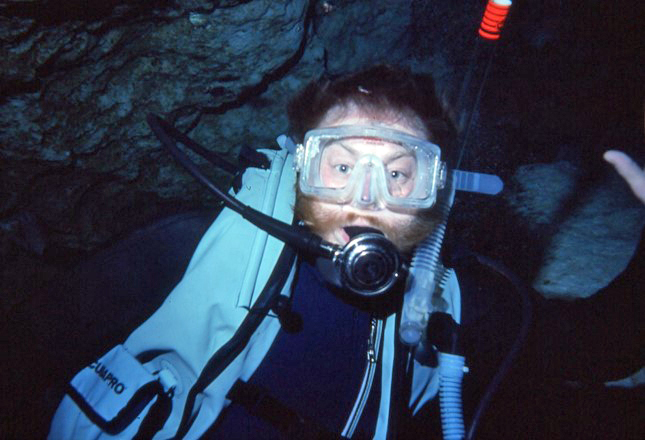 There are several modern diving practices (ascent rates, deep/half stops, etc.) that are incorporated into newer computers and won’t be found in older ones. Further, decompression theories and modelling continue to evolve. The pressure transducer (the thing that senses depth) can go bad and you won’t know until you jump in the water. Diver’s World can test some used computers if you are able to bring them in. Just remember, your health and safety are at stake. You can get a new, fully functional dive computer for under $200. We never take offense when someone asks about buying used equipment. We want you to dive! Regrettably, people often ask after they have bought something only to find out that it is a thirty year-old regulator that no one should dive with. If it is from a local seller, Diver’s World may have the service records. And remember, you can buy good quality, well maintained equipment directly from Diver’s World that will include our Tribal Rewards warranty program. If you have used cylinders or regulators that you wish to sell, Diver’s World may be interested in looking at them (keep in mind that we will only consider current model regulators). Diver’s World does not buy used BCDs, wetsuits, boots, gloves or any other accessories: Craigslist or eBay may be a good outlet for your used soft-goods.